When I first started enameling, I was so enamored and fascinated with what was happening that I didn’t really care what it looked like in the end. It was all beautiful to me! I loved heating the metal, dunking it in enamel, and watching the torch-fired enamel powder melt to glass. My mandrel was a magic wand and my safety glasses were a wizard’s cap! It felt and still feels like magic. After a while, though, I wanted to create particular results–specific colors, perhaps in specific places on the metal–and when I ended up with a splotchy mess or 50 shades of gray instead of real colors, I knew my process needed some tweaking. That’s when I re-read Barbara Lewis’s Torch-Fired Enamel Jewelry, to improve my technique and learn how to troubleshoot my mistakes. 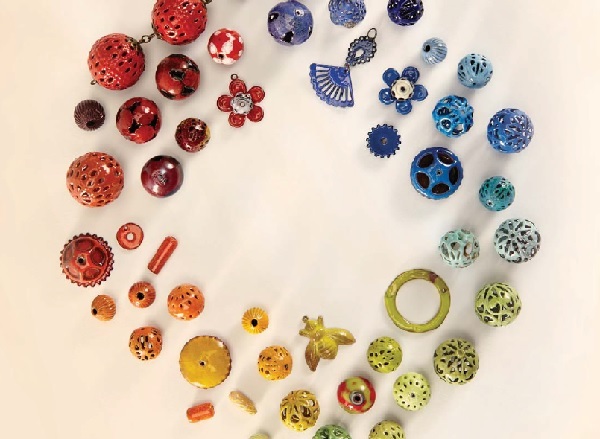 Now Barbara has another book, Mastering Torch-Fired Enamel Jewelry, and in it she has outlined common torch-fired enamel issues and how to troubleshoot them. Here’s an excerpt that has been helpful to me. Metal was not heated sufficiently for the enamel to adhere. Get the metal hotter, especially for the first layer. Uneven heating of large objects. The metal is incompatible with the enamel. On the first pull, try to get the bead so that it is dangling on the end of the mandrel. If the bead sticks, simply heat the hole at the end of the bead closest to your hand. If the mandrel is protruding from the other end of the bead, reheat the entire bead to release from the mandrel. No amount of pulling will release the bead. Heat is the answer. Uneven heating of bead-reheat the bead evenly. Rapidly rotating the mandrel in the flame helps. The enamel has been overfired or the metal is incompatible with the enamel. Enamel was not fired hot enough-reheat and rotate evenly until the bead glows orange. When overfired, enamel pulls away from the edges, leaving a dark lining around each opening in a bead or around the edges of sheet metal. Refire and add more enamel. 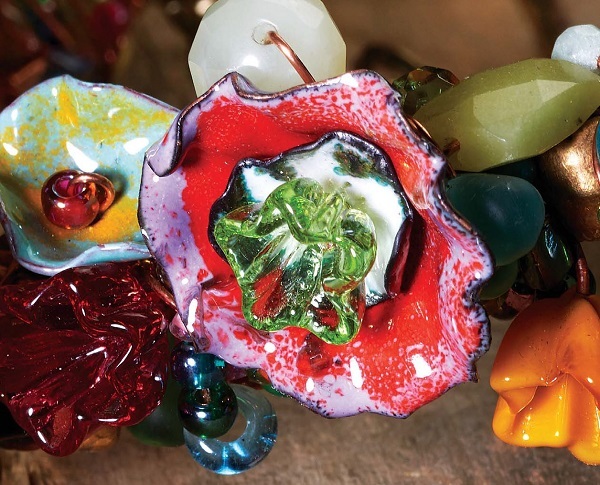 Beads can also become muddy when fired too close to the end of the torch nozzle. Remember to work in the sweet spot of the flame. 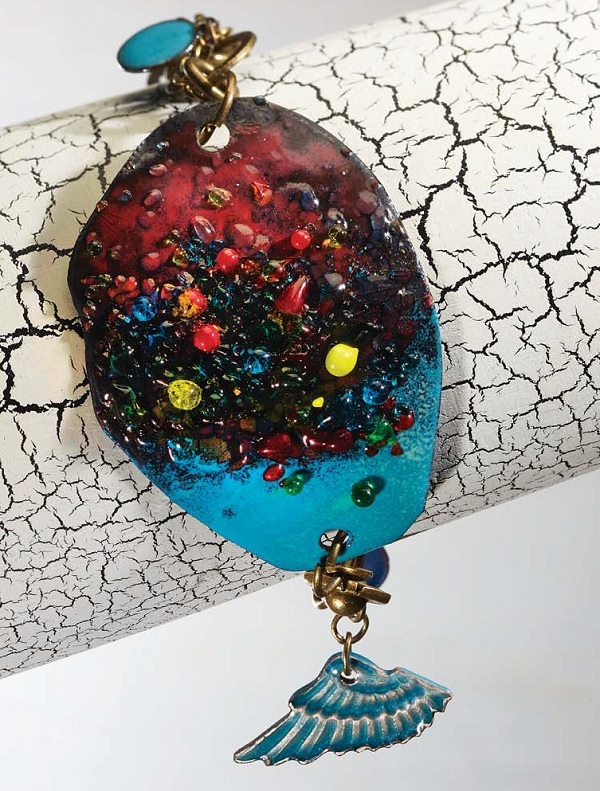 If you want to learn more about enameling, whether you’re brand new to it or have been doing it for awhile, we have a treat for you. You can choose the way you want to learn and save big when you create your own enameling bundle. 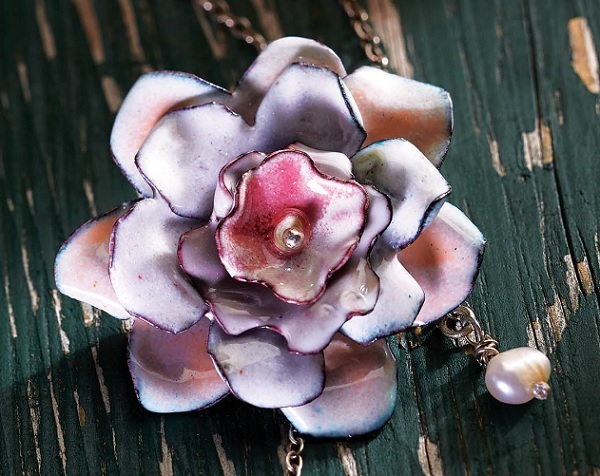 Enameling is a super fun jewelry-making technique that’s accessible to everyone–even with a hardware-store torch. So get started on your own enameling adventure! 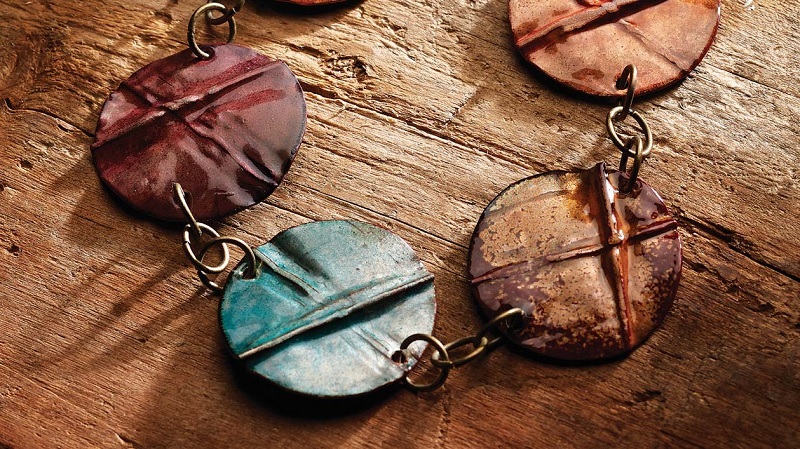 Learn more about kiln- and torch-fired enamel jewelry making with these books, courses, and videos!